Dr. Joanne Max brings to her college planning and consulting services a unique combination of skills and expertise she developed in her successful clinical psychology private practice. During the course of over thirty years performing diagnostic, educational evaluations and treatment, she discovered her true passion: helping high school students and families navigate the college application process to find the right college fit. Dr. Max works with a diverse range of students, drawing upon her strong research and assessment skills to help each student and family succeed through this multi-step adventure. Whether you just need a little extra personalized support, guidance or strategic assistance or you feel overwhelmed, stressed and challenged by the college planning process, Dr. Max can help ease you through this journey. Having successfully survived the college admissions experience with her two sons, Dr. Max understands that while college planning is a process, each student’s journey is unique, and having the right guide can make it a smooth and exciting one. Moreover, having served as an alumna interviewer for her undergraduate college, she understands the college perspective in reviewing prospective students. With her clinical skills and proficiency in testing and assessment, Dr. Max brings specialized abilities to this venture. She helps students manage the stages of the admissions process and guides those who may need assistance with anxiety/stress reduction or with the time management, planning, organization and problem-solving skills necessary to complete the process. Additionally, she is sensitive to the parent/child dynamics that may surface during this journey. Dr. Max recognizes that with gentle support and encouragement, students and parents can enjoy and smoothly navigate this exciting and rewarding endeavor. Dr. Max has had extensive experience evaluating young adults, assisted with Individualized Education Plans (IEPs) and application for accommodations for academic environments or standardized testing, including the SAT, ACT, MCAT, GRE, LSAT, GMAT, CPA, Medical Board and State Bar Examinations. She has guest-authored an article addressing the process of applying for standardized test accommodations and has been interviewed on this topic for an article in an independent educational consultants publication. Given her background in assessment and treatment, Dr. Max can review a student’s psychological, neuropsychological or psycho-educational evaluation to help discern what academic path a student might consider or what additional testing might be indicated to address this question. She is particularly adept at identifying the nuances of each student's personal and learning style to help identify colleges where they can maximize their potential. Dr. Max graduated with honors from Vassar College with a double major in psychology and biopsychology. She earned her M.A. and Ph.D. in Clinical Psychology from the University of Florida, graduating with honors. She completed the IECA Summer Training Institute. She is a member of several state and national professional organizations, including the National Academy of Neuropsychology (NAN), International Neuropsychological Society (INS), American Psychological Association (APA), Georgia Psychological Association (GPA), the Higher Education Consultants Association (HECA), the National Association of College Admission Counselors (NACAC) and is an associate member of the Independent Education Consultants Association (IECA). 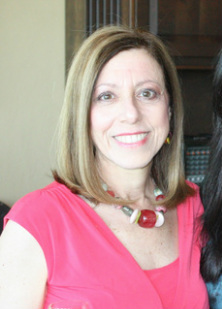 She has held several positions in the Georgia Psychological Association and was appointed to serve on three committees of the State Bar of Georgia. She has been an invited speaker at several college plannning events.